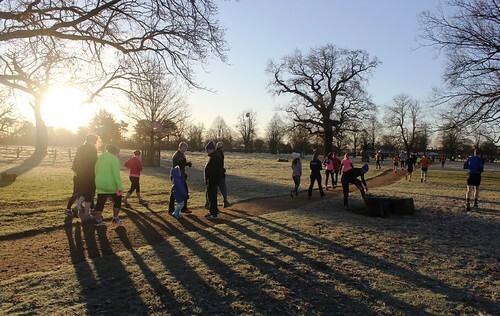 It was another frosty morning for the 711th Bushy parkrun, however 1029 of you braved the cold but sunny start to the weekend on Lime Avenue! 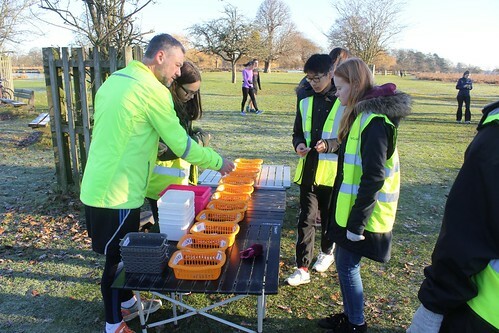 We had a tally of 95 PBs - boosted by our group of pacers and there were tourists from New Zealand, Australia and South Africa amongst the 87 Bushy first timers, with 40 of you starting your parkrun journey, welcome along! Ray Coward was the Run Director on the day, and in all a team of 51 volunteers were ready to marshal, time and register your run, as well as setup, looking after the kit for a week. If you have ever considered volunteering, don’t be shy, give it a try! 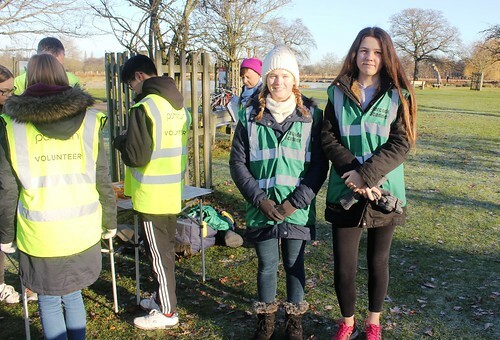 If you are available to help, or would like to find out more, then do get in touch with Pat McGrath at bushyhelpers@parkrun.com and he’d pleased to hear from you! The most accurate pacers were Ian Fullen and Louise Atkinson, who were both spot on! At 20:00 and 32:00 respectively! Ian also helped to contribute the most PBs in his time range, with 4 PBs between 19:56 and 19:59! Adrian Roberts, Louise and Richard Matthews all had 3 PB’ers near their finishing time. Well done and thanks to all our pacers, who are scheduled to return on 20th January 2018 with odd numbered pacers. With the help of the pacers, 95 of you achieved a new PB (just under 10% of the field), and three of these PBs were achieved by parkrunners with over 100 runs at Bushy! 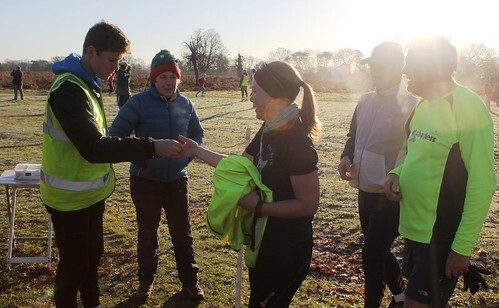 The most experienced Bushy parkrunner to set a new PB was Mike Dennison! Mike took nine seconds off his previous best of 19:55 in June 2015 for his second sub 20 parkrun – and first time over 80% for his age grading (80.44%) on his 245th Bushy parkrun (293 runs overall). Many congratulations Mike! 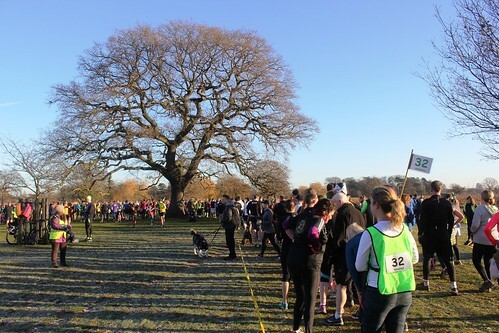 David Gannon ran 24:11 to set his third consecutive PB at Bushy on his 116th parkrun here (258 runs overall). This time he shaved six seconds off his previous best. Mark Davies has completed all 144 of his runs at Bushy, and Saturday’s run was his fastest by five seconds, keeping ahead of the 24 min pacer as he ran 23:51. Well done to David and Mark! 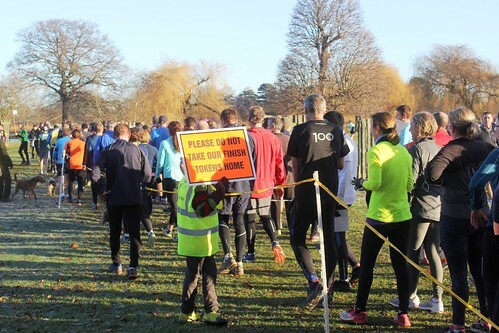 Another 6 parkrunners set new PBs at Bushy having completed at least 50 runs here, well done to: Danny Conyngham (18:13), Andrew Johnson (21:46), Ross Hyde (19:59), Ella Rowe (24:23), William Lea (19:58), and Angus Shennan (20:52). Once again we had tourists from around the world, the furthest being Andrew Capel from Auckland, New Zealand. Andrew was running for the first time here on his 213th parkrun, and is a regular at the Cornwall Park parkrun in Auckland. We had two Bushy first timers from Australia: Glenda Sorokin (93 runs) – who runs at Cooks River parkrun in the Sydney suburbs, and Jennifer Kosmala (76 runs) – from Bibra Lake parkrun, near Perth. From South Africa we welcomed Janine Rosso (155 runs) and Roberto Rosso (152 runs), and their home run is the Three Silos parkrun. Thanks to all of you for coming and we hope you enjoyed your morning with us! Other notable tourists included: Adam Hughes (271 parkruns) from Kingston, David Capel (258 runs) from Ashton Court, Katherine Harris (166 runs) from Valentines, Chris Hopkinson (133 runs) from Great Notley, Craig Sherratt (121 runs) from Maidenhead, Matt Gough (92 runs) from Woking, Elly Glenn (73 runs) from Fulham Palace, Helen Clifton (67 runs) from Bedfont Lakes, Dave Thomas (65 runs) from Oak Hill, Sophia Luck (61 runs) from Kingston, Peter Rattue (55 runs) from Salisbury, Bethany Hammond (51 runs) from Nonsuch, and Alexis John from Cardiff, who joined the 50 club on his first visit here! 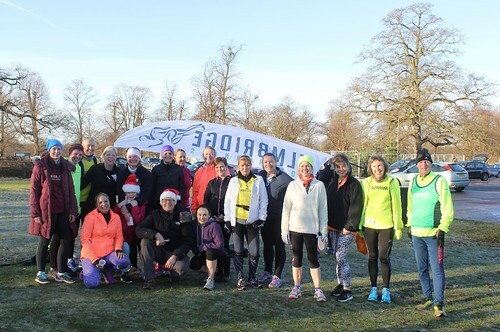 We also had some parkrun debutants completing their programme to run 5k, with the support of their club, Elmbridge Road Runners – and there were 22 from the club present, thanks for coming and a big well done to those of you completing a parkrun for the first time! 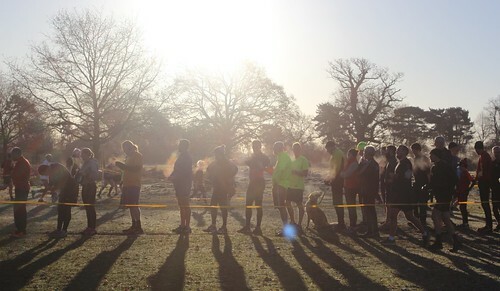 Thanks to all of those who chose to run at Bushy for the first time, and returning tourists too! After last week’s double 500 club celebration for Polly and Stewart, the next Bushy regular who took part on Saturday to reached 500 runs is David Tyas (483 runs). 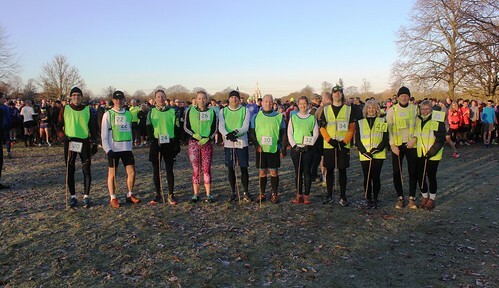 Seven of the 13 members of the 500 club were running at Bushy. We had one new member of the 250 club, many congratulations go to Chris Ford! 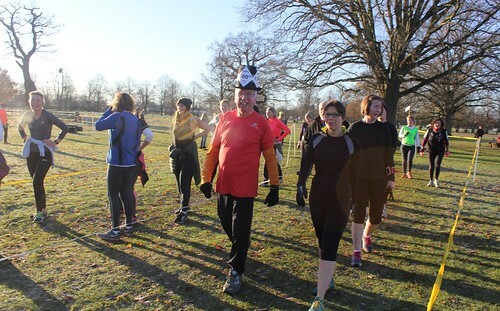 Chris was running his 248th parkrun here, with two away trips to Guildford. He started his parkrun journey just over six years ago at event 385 on 3rd December 2011, and has a PB of 20:59 which he set in 2014. Well done Chris! 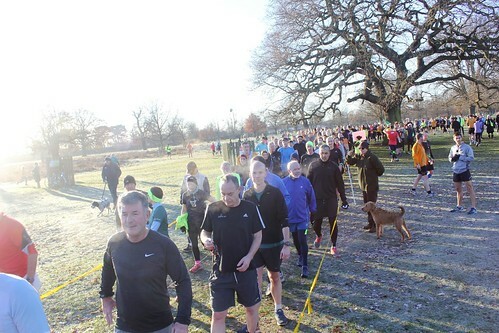 Another five parkrunners are within touching distance of joining the 250 club: Richard Sealy (249 runs), Eva Boyd (249) and Chris Mayo (249), and Andrew Blyth could reach the landmark on Christmas Day as he is on 248. Two of you reached three figures to join the 100 club, congratulations to Adam Hylan and Bob Geddes, who wore this top hat to mark the occasion! Another four parkrunners moved on to 99 not out: Carl Howes, Niamh Finlay, Andrew Overton and Diarmuid O’Tuathail. Five of you celebrated joining the 50 club, well done to: Bradley Harrad, Lucy Hoseason, Alexis John (Bushy first timer), Julian Heyworth-Taylor and Nicholas Murray. A further six of you are one away from reach your half century: Nigel Pickup, Nigel Finlay, Lee Beresford, Sam Kennedy, Anne Fosbury and James Clifford. We had one new member of the junior 10 club (for under 18s only) congratulations to: Jack Crowther. 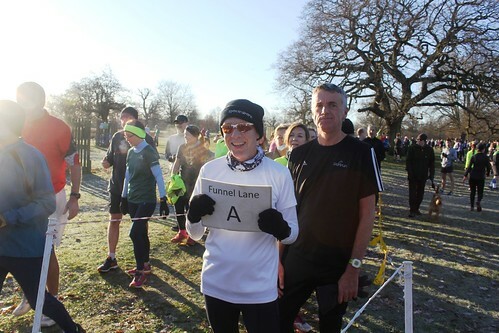 In this feature, I pick a ‘parkrunner of the week’, where a parkrunner will get their name in lights if their finish position matches the event number As it was event number 711, the parkrunner in position 711 was… Michael Phillips! 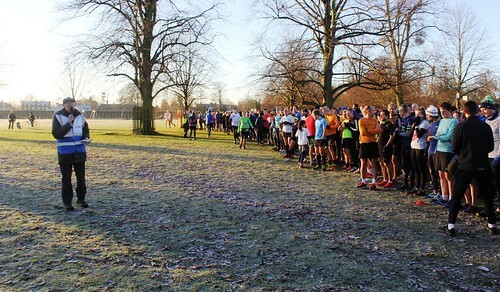 He has completed 115 parkruns, with 109 of them at Bushy, where he made his debut on 24th January 2009. Now for the results and stats bit! 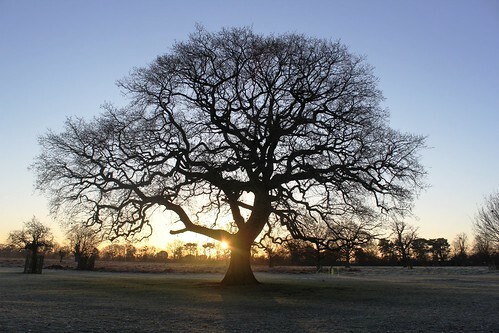 Guildford and Godalming AC’s Simon Goldsworthy was the first finisher, posting 16:06 (80.12%) on his 19th parkrun. 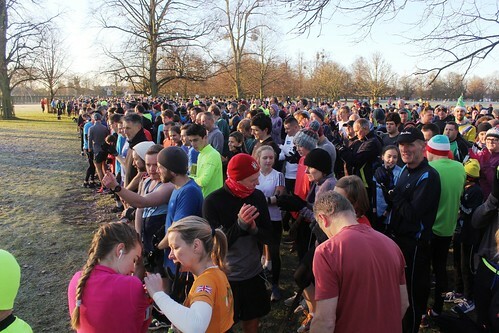 Next was Craig Jarman, running 16:45 (77.11%) on his 76th parkrun, and the third registered finisher was St Mary’s Richmond AC’s Rob Eveson, in a time of 17:04 (75.88%). The first junior male home was Kiran Lathia-Hamblin, in a time of 18:58 (74.74%) for St Mary’s Richmond AC, and another two U18 boys posted sub 20 times, well done to: Oliver Sossick (19:56), and Ross Hyde (70.98%). 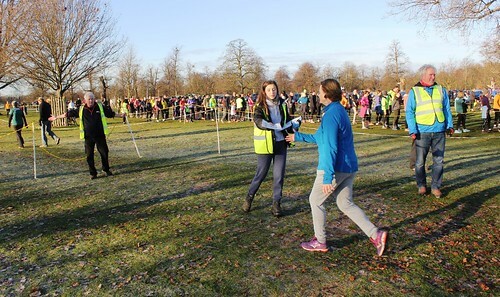 Five ladies dipped under 20 minutes, led by Isabel Clarke of Serpentine RC, running 17:46 (83.40%) on her 31st parkrun, she was followed by two juniors – Georgina Clarke in 19:20 (81.29%) for Hercules Wimbledon AC, and Isabel Livesey in 19:45 (78.48%) on her 144th parkrun. The third Isabel (and fourth female finisher) of the day was Isabel Hessey, running 19:52 (74.50%), and Gen Huss (74.43%) completed the sub 20 finishers for Herne Hill Harriers. An impressive dozen of you achieved over 80% for your age grading! The highest age grader was Windle Valley Harrier Peter Mannion (VM55-59), who earned 83.94% from his time of 18:28. Serpentine RC’s Isabel Clark (SW30-34) was just five seconds outside her PB with 17:46, and this gained her 83.40%, and Elmbridge Road Runner Mike Bruce (VM70-74) scored 83.24% as he ran an outstanding 21:11! 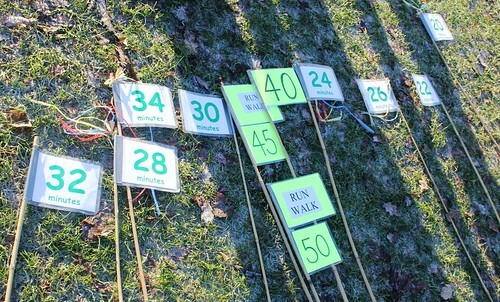 There were 1029 parkrunners! – 963 identified, 66 unknown (6% of field). Top 10 clubs: Stragglers (55 runners), Elmbridge RRC (22), Thames Turbo Triathlon (13), Riverside Rebels (12), Ranelagh Harriers (10), SHAEF Shifters (10), 26.2 RRC (9), Sweatshop Running Community (7), Epsom & Ewell Harriers (6) and St Mary’s Richmond AC (6). 7 members of the 500 club (0.7% of field) – Richard Fletcher (565), Paul Killick (564), John Hanscomb (556), John Woods (534), Ramona Thevenet (534), Polly Adams (501), and Stewart Rose (501). This entry was posted in Run Reports by bushyoffice. Bookmark the permalink.